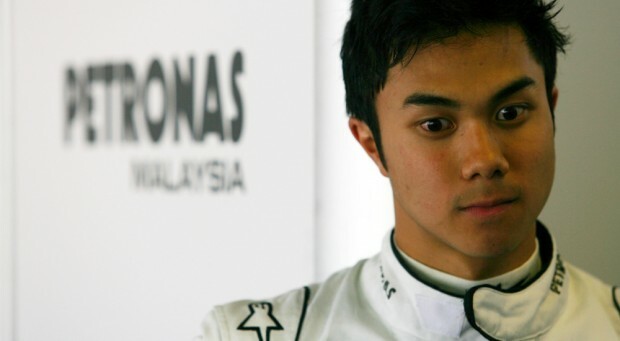 Jazeman Jaafar will return to the cockpit this weekend, driving his Carlin F3 car in the third round of the Cooper Tires British F3 International Series at Snetterton circuit in Norfolk. Lying joint second in the Drivers’ Championship, Jaafar is keen to continue the momentum of the new season, with podium finishes at both the first two events and a strong points haul to keep him riding high. The Snetterton race weekend features a revised circuit layout for British F3, with the new ‘Snetterton 300’ hosting its first international race series weekend. A multi-million pound redevelopment of the Norfolk circuit has created a 2.99 miles track, with the layout drawing inspiration from many of the world’s greatest motorsport circuits, one of which is the Canadian Grand Prix venue in Montreal. Circuit owner, Motorsport Vision’s Chief Executive Jonathan Palmer used the exact dimensions of its Casino Hairpin in turn two of the new configuration, which is reflected in its new moniker, Montreal. The race weekend allows for two one hour practice sessions on Friday 13 May: 1000-1100 and 1345-1445. On Saturday 14 May qualifying will be from 1040-1110, with the first of the three races at;1455 (30 mins). Sunday 15 May will host the final two races: 1055 Round 8 (20 mins) and 1615 Round 9 (40 mins), all times local.